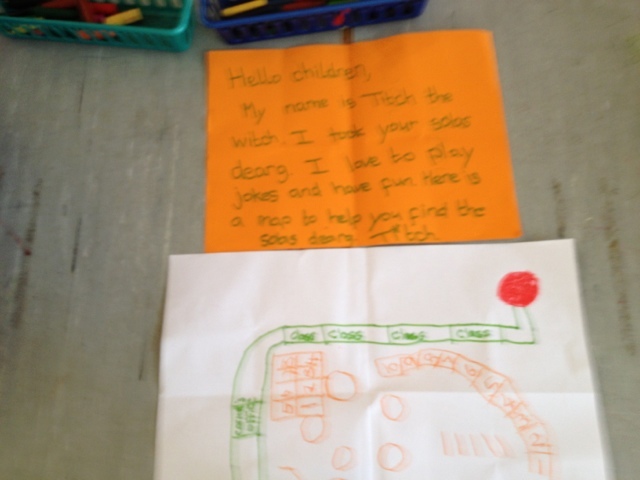 We found a note from teacher's old friend Titch the witch. She would like to use our class for Halloween again this year. Titch played a naughty trick on teacher, she took her solas dearg (red light). The children reckon this is teacher's favourite light. We have solas glas (green light) for work where we are all talking, solas oràiste (orange light) for work time that we all whisper and the solas dearg is for quiet working time that requires lots of concentration.